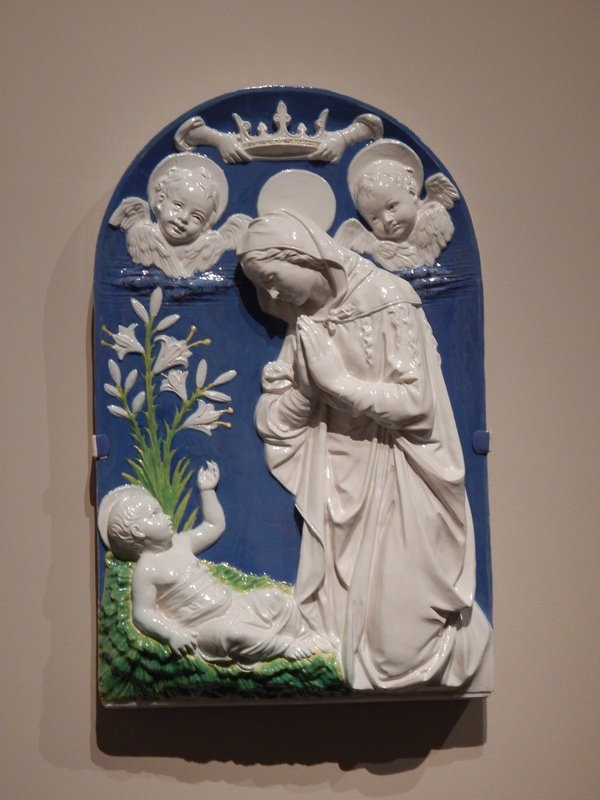 Della Robbia: Sculpting with Color in Renaissance Florence is a current exhibit at the Museum of Fine Arts, Boston. 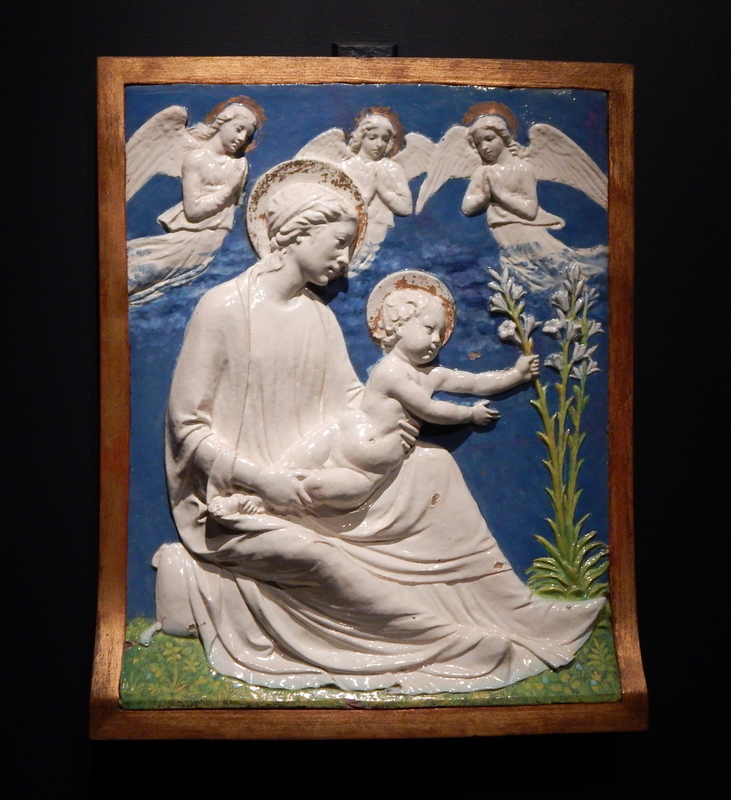 It is a beautifully curated show featuring glazed terracotta that, as one visitor stated, if you did not know the sculptures were made over 500 years ago, you would think that they were made just yesterday. 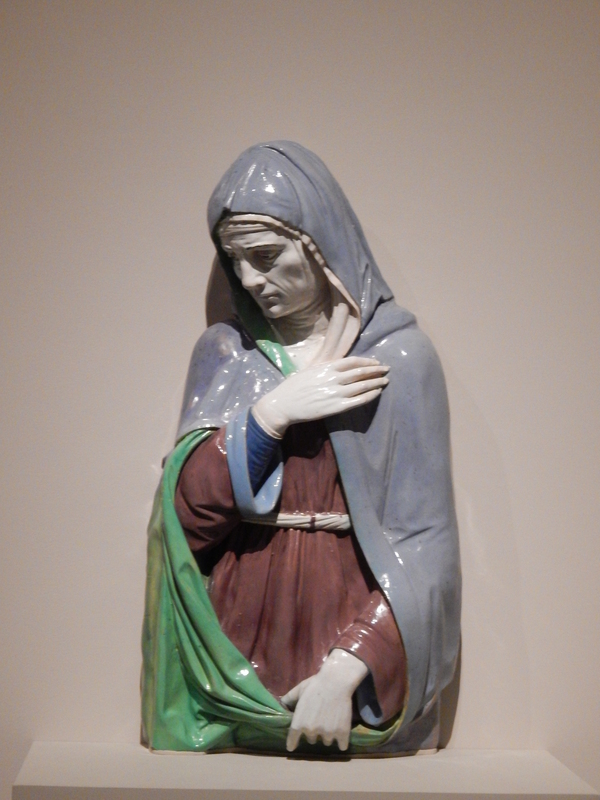 The colors are still that vivid thanks to a unique glazing recipe developed by Luca della Robbia (1399/1400–1482). 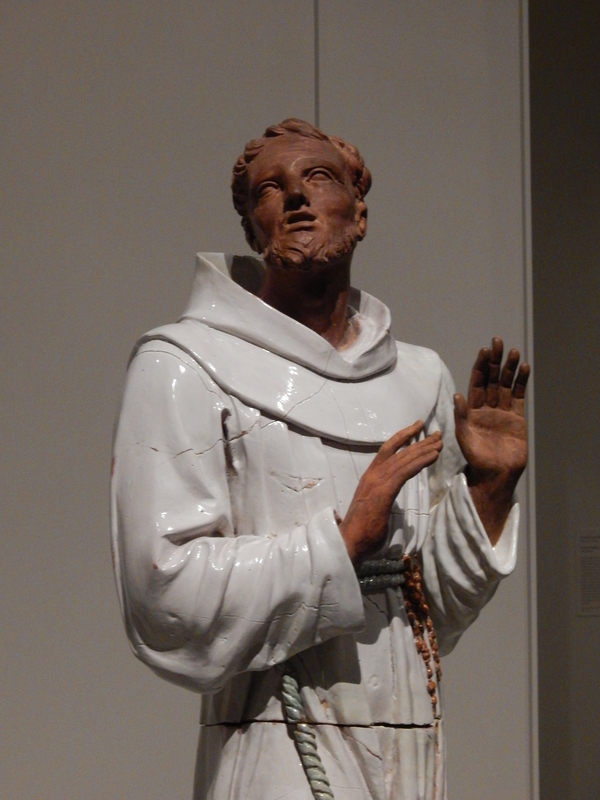 The sculptures produced by his family, based in Florence, Italy, are dramatic in design and expression and rather luminous. 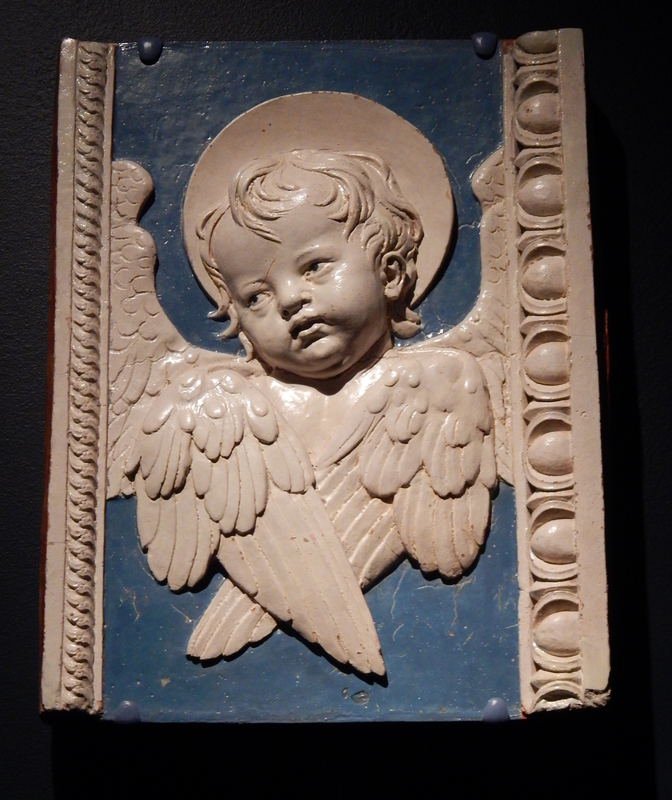 Della Robbia’s signature colors of white and cerulean blue radiate with a brilliance that would become the family hallmark. There is a deep richness to the others colors as well. 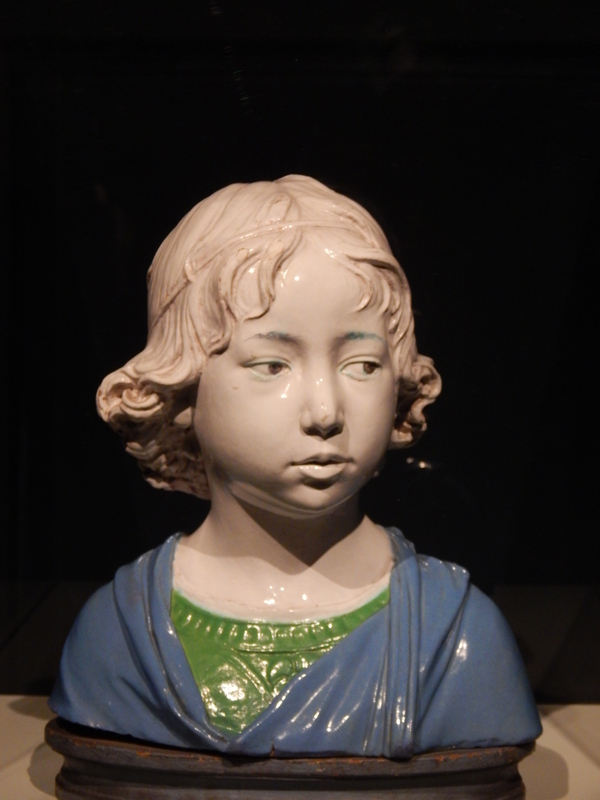 For the exhibit the MFA pulled together nearly 50 objects from U.S. collections and from Italy. 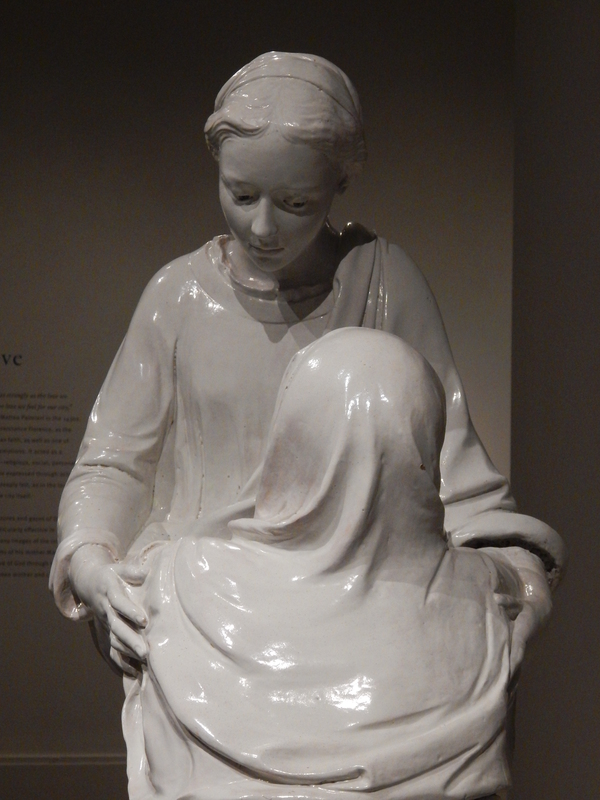 On view in the museum’s Lois B. and Michael K. Torf Gallery, the freestanding sculptures and other decorative pieces are organized around three themes – hope, love, and faith. Exhibit curator Marietta CAmbareri describes these as the virtues of the Renaissance, guiding peoples’ lives at the time.